The Kennedy-Mighell Report is a legal technology podcast with an Internet focus. 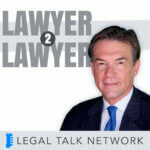 Noted legal technologists Dennis Kennedy and Tom Mighell bring listeners an in-depth analysis of the latest advancements in legal technology, in addition to best practices for utilizing existing tools. The duo aims to educate lawyers on how technology can be used to improve services, interactions with clients, and overall workflow. Call (720) 441-6820 and leave a message on Dennis and Tom’s Tech Questions Hotline. Dennis Kennedy and Tom Mighell discuss the current state of legal tech conferences and the need for balance between highly innovative content and essential training content at tech conferences. Dennis Kennedy and Tom Mighell decipher the meaning of “legal technology” in 2019 as well as legal tech vs. illegal tech. Dennis Kennedy and Tom Mighell announce their technology and podcast resolutions for 2019. Dennis Kennedy and Tom Mighell recap legal technology in 2018 in “Pardon the Interruption” style. Dennis Kennedy and Tom Mighell talk about what they consider to be today’s biggest challenges in legal tech. Dennis Kennedy and Tom Mighell discuss the need for lawyers to have a basic understanding of the dark web – both its uses and dangers. Dennis Kennedy and Tom Mighell talk about the College of Law Practice Management Futures Conference and cybersecurity. Dennis Kennedy and Tom Mighell talk about how the personalization of technology has made it hard to make recommendations about technology solutions. Dennis Kennedy and Tom Mighell discuss how they use websites and, how RSS and social media are eliminating the use of destination sites. Dennis Kennedy and Tom Mighell talk about the latest technology on the market and which ones are worth the purchase. Dennis Kennedy and Tom Mighell talk about how the use of collaboration tools can impact your cybersecurity. Dennis Kennedy and Tom Mighell talk about the technology hype and why you should be excited about it. Dennis Kennedy and Tom Mighell discuss the internet of things (IOT) and how the IOT has grown and developed, the problems with it and how it has affected our expectations about smart technology. Dennis Kennedy and Tom Mighell give tips and tricks to the best way in deleting and destroying data. Laurence Colletti and Julie Tolek join Dennis and Tom as they talk about what they learned about LinkedIn while participating in the contest. Tom Mighell and Dennis Kennedy discuss cleaning out storage on your computer and mobile devices. Julie Tolek and Laurence Colletti shares their LinkedIn tips, from paying a little extra for premium to using groups, and the various benefits of putting time into growing your profile. Dennis Kennedy and Tom Mighell talk about the reorganization of Microsoft and the implications of their shift in focus. Dennis Kennedy and Tom Mighell discuss the tricks that will help make your Facebook account more secure. Is Reddit a Business Tool? Dennis Kennedy and Tom Mighell talk about Reddit, what it is, and how you can and should use it as a tool in your business. Dennis Kennedy and Tom Mighell discuss the best and worst ways to consume the news. Hosts Dennis Kennedy and Tom Mighell discuss their own personal knowledge management systems, analyzing what works and what doesn’t. Dennis Kennedy and Tom Mighell discuss how technology has changed since the first edition of their book was published and what collaboration tools are most commonly used today. In the final 2017 episode of the Kennedy-Mighell Report, Dennis Kennedy and Tom Mighell talk about what technology goals they have for 2018. In the final 2017 episode of the Kennedy-Mighell Report, Dennis and Tom discuss topics like augmented reality, voice-activated technology, and cryptocurrency. In this legal technology podcast, Dennis Kennedy and Tom Mighell share some of the things they are most thankful for when it comes to technology. Technology isn’t perfect. Tune is for Dennis Kennedy and Tom Mighell’s biggest technology pet peeves. 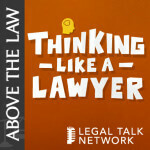 This legal technology podcast covers why lawyers aren’t using document assembly and why this should probably change. Dennis and Tom answer questions about a wide array of topics like client portals, misused technology, and (Tom’s favorite) Bluetooth speakers. In anticipation of their 200th episode, Dennis Kennedy and Tom Mighell reminisce on the origins of their podcast. This legal technology podcast explores the most effective ways to introduce technology to lawyers. This legal technology podcast looks at the effect technology education could have on lower attendance numbers and the industry as a whole. Dennis and Tom discuss how to deal with failed tech projects, including when to see a struggling endeavor to the end and when to let it go. This podcast covers virtual and augmented reality and the tools that give you the best virtual experience. This legal podcast dives into drones and how they will affect the legal market. This legal technology podcast covers 2017 internet trends by reviewing the highlights of Mary Meeker’s Code Conference Report. This legal podcast covers 3D printing, what it is, how to get started, and why lawyers should be interested in this growing technology. This podcast provides tips for traveling with technology like iPads, laptops, and phones, and a couple handy travel apps. 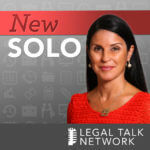 This legal podcast discusses the advantages of video conferencing for lawyers. Dennis and Tom define what a Virtual Private Network (VPN) is and why it might be a good idea to invest in one to ensure your online information is secure. Dennis and Tom talk about what ABA TECHSHOW is, what they did at this year’s conference, and what to look for at the show in 2018. Snap Decisions: Should Lawyers be Using Snapchat and Instagram? Dennis Kennedy and Tom Mighell discuss Snapchat, Instagram, and their role in legal marketing. What does blogging for lawyers (or blawging) look like today and what are the best tools to start one. Dennis and Tom discuss troubleshooting, including their own four step approach to fixing technology problems.